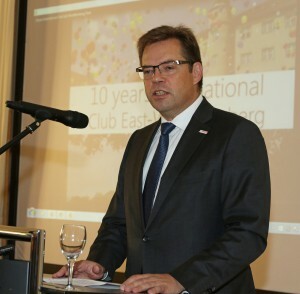 Ten years ago together with different companies from East Wuerttemberg the local chamber of commerce and industry was setting up the International Club East-Wuerttemberg. 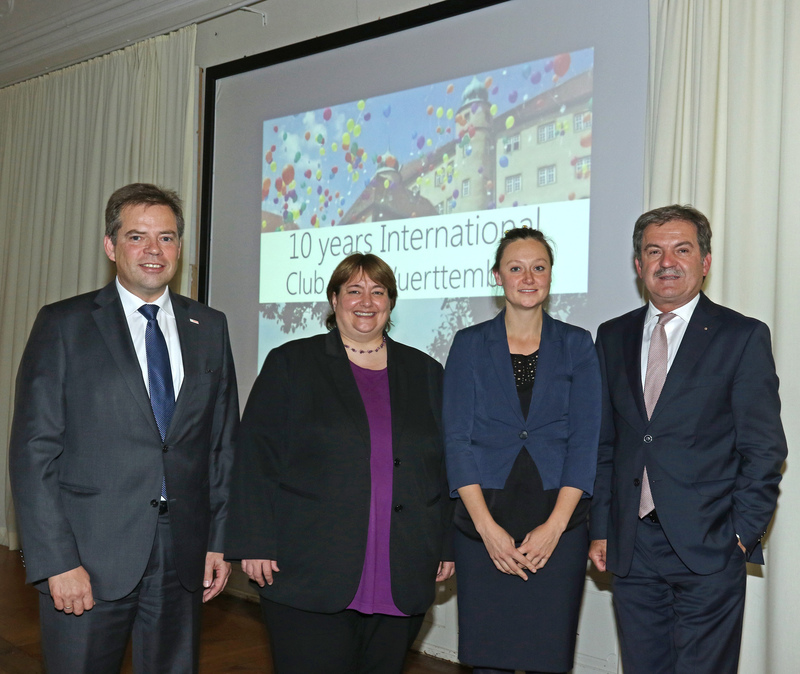 This special inducement was celebrated on September 17, 2015 on Castle Kapfenburg in Lauchheim. 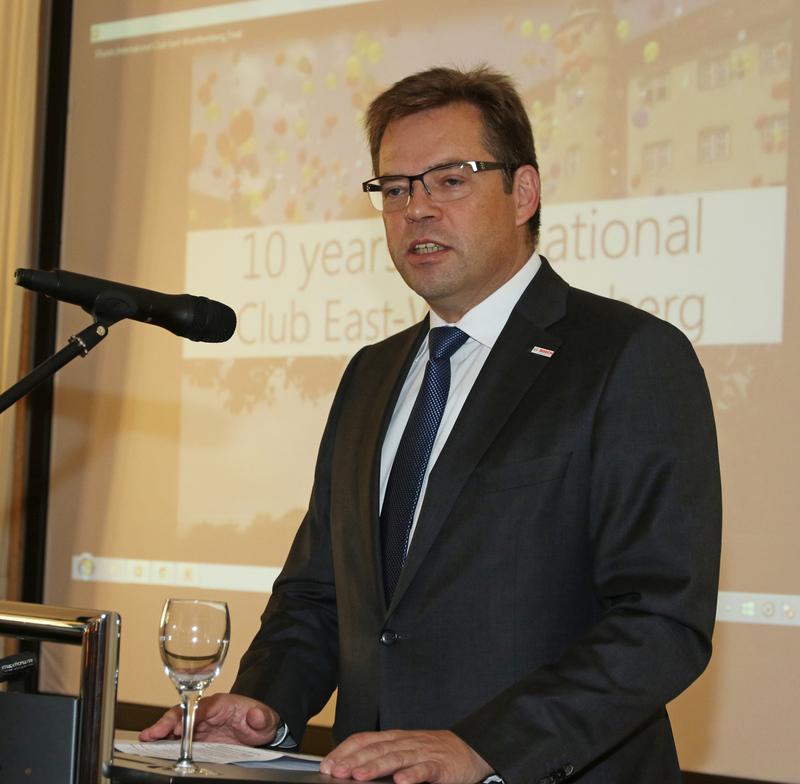 Carl Trinkl, President of the chamber of commerce and industry Ostwürttemberg and CEO of Kreissparkasse Ostalb welcomed about 100 Club-members with their families and guests from politics and industry. 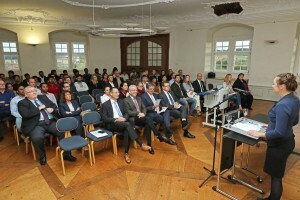 He emphasized how valuable the foreign professionals are for the quality of the business location Ostwürttemberg. They would not only bring knowledge and ideas, but also often their families. Moreover Barbara Hess, migration researcher from the Federal Office for Migration and Refugees and Dr. Henning Wagner, Managing Director of Robert Bosch GmbH Automotive Steering in Schwäbisch Gmünd refereed at this evening. Barbara Hess gave an overview of the economic importance of occupational migration. 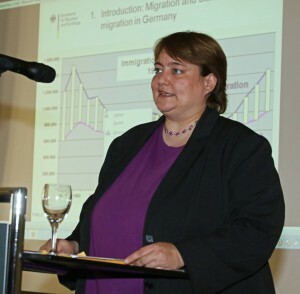 She also talked about the above-average number of immigrants with a „Blue Card EU“ in Ostwürttemberg, which means labor migration by highly qualified. While the “Blue Card EU” have a share of nearly 8 percent in Germany and 7.5 percent in Baden-Württemberg, has the region Ostwürttemberg a share of highly qualified foreign by 12.5 percent. At the end Dr. Henning Wagner, gave a brief practice-impulse. He explained why his company involved in the club from the beginning and how the international workers and the employer benefit from each other. Carl Trinkl and Michaela Eberle welcomed the guests. Right Picture from right to left: Carl Trinkl, Michaela Eberle, Barbara Hess, Dr. Henning Wagner.